Are you experiencing problems with Kodi? Many users have complained about facing the same issue. Thankfully, there are several things you can try to fix the problem. The very first thing you should do is exit Kodi and restart it. At times small graphical glitches and network connection related issues get resolved on their own after a restart. Therefore, you should give this simple workaround a go. In case the problem persists, try rebooting the device that has Kodi on it. This simple procedure may help resolve kodi not working issue if the problem is due to software conflict. There’s no reason for you to feel frustrated if neither rebooting kodi nor restarting the device running Kodi works. Many users were able to solve the issue using one of the advanced steps listed in this post. We’re sure these solutions will work for you as well. But before you try the advanced solutions listed in this post, we recommend you try using a VPN if you’re not already using one. It is possible that your ISP might be blocking streaming requests submitted by Kodi. In such a case, using a VPN can save the day for you. When you use a VPN, your ISP no longer can ascertain if a particular data transaction is related to Kodi. Hence, they can’t block it. There are several good VPN providers available in the market. You can use any one that you fancy. If using a VPN doesn’t work, go ahead and try these solutions. Many users complain that Kodi keeps on crashing. Some, on the other hand, says that it has strange bugs, such as graphical glitches or some features not working. Are you receiving such a problem? Then first check which version of Kodi you have. To check the Kodi version, perform these steps. Click the operating system that you’re using. For instance, if you are a Windows user, click the Windows icon. Similarly, Mac users need to click MacOS. The latest Kodi version will now be downloaded in form of an .exe file. After the download process is complete, run the .exe file and follow the onscreen instructions to install the file. Now your Kodi will be updated to the latest version. Your media files, add-ons and settings will remain as before. As you can see, updating Kodi is a cinch. We recommend you update Kodi as soon as a new update is made available. New updates improve performance and enhance security. This is another problem which many Kodi users have reported. Generally Kodi’s performance drops over a period of time. One of the main reasons for Kodi is unresponsive or too slow issue is presence of a large number of add-ons or repositories. By default, some repositories and add-ons automatically update themselves when Kodi starts. As you may guess, if you have installed too-many repositories or add-ons, multiple operations will be running in background when Kodi loads. This can considerably slow down the system. In such a case, removing unneeded repositories or add-ons is a good idea. Here are the steps you need to perform to remove add-ons. Here are the steps you need to perform to remove repositories. Here are the steps you need to perform to delete sources. Usually this issue happens when Kodi is installed on a small Android device, a Firestick, or other limited hardware. Even when you don’t have a lot of media files, Kodi software alone can use many gigabytes of space on the hard drive. If the device is a small one, obviously this can lead to problems when you download new content or add-ons. You can resolve this issue by clearing thumbnails and the cache. When you clear the cache, temporary files that get stored on the hard drive are deleted, which in turn frees up substantial space on the hard drive. You can free up more hard drive space by removing thumbnails, especially if your drive is flooded with them. However, clearing cache is not very simple. You will need a 3rd party tool for it because Kodi doesn’t have a built-in “Clear Cache” button. There are several add-ons which have tools that you can deploy to delete cache as well as thumbnails. You can choose any one you like. We’ve used the Merlin Wizard add on. The steps listed here are Kodi version 17. In case you run another Kodi version, it is possible that the steps for installing this add-on your Kodi version may differ. So, here’s what you need to do to use Merlin Wizard in Kodi version 17. That’s it! You’ve now removed Kodi caches. In case Kodi build isn’t working, the problems is more likely to be with the Kodi build rather than with the add-ons. We recommend you search the Internet to check in case there’s a known problem with the build you’re using. Typically, the problem isn’t with the build’s interface, which loads up fine because it is saved on the hard disk of your machine. However, the build can’t retrieve data from its server. There’s only one thing you can do and that’s fresh install Kodi. So uninstall Kodi and then reinstall it. On the other hand, if the problem is with addons, and not the build, check if your internet connection is good. In case there’re no problems with the internet connection, restart the device and check if that helps fix the issue. If the problem is occurring with only a few addons, the issue is probably server-related. When Kodi addons not working issue occurs, it usually means that they aren’t able to fetch streaming links. Also it could mean that the links which addons are fetching aren’t streaming content. The only thing you can do here is wait for a few hours or days and check again if the issue is resolved. Typically, this issue is seen more with addons that aren’t so popular. Therefore, we recommend you to use only the more famous Kodi addons. As you may know, video addons, builds, and much more is stored in Kodi repositories. The official repository of Kodi goes by the name of Kodi Add-on Repository. However, other 3rd party repositories such as Fusion and Kodil are more popular than the official one. There are many such 3rd party repositories, some more popular and more well maintained than others. If you want to obtain a particular Kodi repository, first add a source to Kodi. Next, install this repository from the added source. In case a repository stops working, you can’t install builds or addons stored in that repository. Well, to be honest, you can’t do anything about this problem. You can try uninstalling and reinstalling the repository, but more often than not this problem is related to the server on which the said repository has been hosted. Therefore, all you can do is wait until this server is up and running. If several days have passed since the occurrence of the problem, there’s a good chance that this repository is no longer available. Usually, Kodi repository is not working issue is seen with lesser-known repository. For this reason, you should use only famous repositories. Here are some other solutions that have worked for Kodi users. You can try them if the aforementioned solutions didn’t work. Problems with your graphic card driver can also cause Kodi not working error. First, you need to uninstall the graphics card driver. Next, update it. There are two ways to update the graphic card driver—manually and automatically. This post lists both these methods. You need to write down the name of the graphics card you’re using. Go to the card manufacturer’s site and locate the newest graphics card driver. 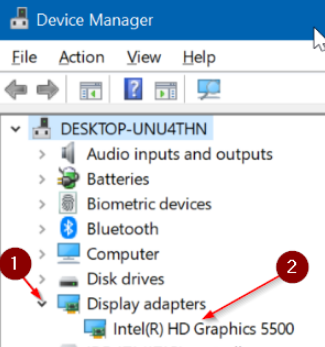 Another way to locate the latest graphic driver manually is by typing the name as well as the model number of your video card in Google search bar and hitting the Enter key. Google will list the required information. Once you’ve found the newest graphics card driver, download it. Ensure the driver file you are downloading is for your PC type. In other words, those running 32-bit Windows should download a driver file for 32-bit version. Of course, you also need to ensure that the driver file is for your Windows version. It goes without saying this sort of driver update process can take much time. But that’s not the worst of it. The real problem is that you can install an incorrect driver by mistake, which in turn can disrupt your PC. In comparison, when you use a driver update too, the whole process is ridiculously fast and easy, and there’s no risk of installing a wrong driver. 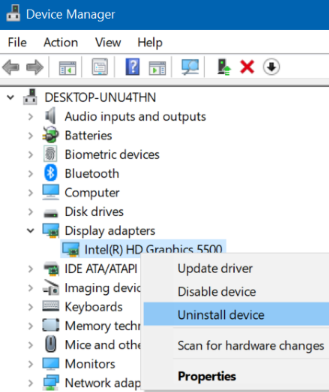 You should consider using DriverDownloader for updating graphics card driver automatically. Using this tool is a cinch. Save the .exe file on the desktop, double-click it and follow the onscreen instructions to install DriverDownloader. After installing it, you can run it to get a free driver report. Next simply register the software to automatically get all the newest driver updates. DriverDownloader is well backed by a 30-day money back guarantee. Therefore you can give it a try without a shadow of worry. Some exodus users have been able to resolve the issue by changing their stream time. You, too, should give this solution a try. Now check if the issue is fixed. You may use another repository to install Exodus since its original developer has stopped supporting it. More than one developer has come up with a different Exodus version and so you can try using any reliable 3rd party repository. Alternatively, you may want to give Covenant a try. It is similar to Exodus. However, unlike the latter, Covenant is still being supported by its developer. So if you’ve tried everything without any success, the last resort is to perform a factory restore. Kindly note that you will lose all data, add-ons and settings when you do a factory restore. In case, you have stored media files on the local hard drive, these files will remain as they are, but their links from Kodi library will be removed. After the fresh install, add these links back manually.